Last night I had an interesting chat with a reader. Actually he became a reader over the course of the chat as he downloaded Fried Windows. He intended to purchase it but discovered, to his delight, that it was on a special one-day free promotion. It was a win. He began reading it between our chat posts. It was kind of surreal experience for both of us. He had immediate access to the author of a book he was reading and I was receiving immediate feedback on something I had written. Again, it was winning situation. Although I don’t expect other writers to attempt such a thing it was uplifting. You see, whenever I’m revising something as I have been doing with The Wolfcat Chronicles, I become hypercritical of my writing. At times I wonder why I’m write at all. I’ve been at this game long enough to know that happens and I shouldn’t read too much into the feelings of inadequacy. But until I’m is happy with a book revising it can be a depressing experience. In the course of chatting I was reminding of some of the dramatic moments during the revisions and multiple edits of Fried Windows. Looking back, it’s probably a minor miracle the book was ever published at all. Specifically I recall one day in the summer of 2013. I was in the midst of preparing the book for substantive edits. From 3AM to 3PM, except for bathroom breaks and trips to refill a water bottle from the filtered tap in the kitchen, I worked on three chapters with which I was not particularly happy. I didn’t finish the effort at that time, though. My great niece invited me to a dinner party along with my sister, brother-in-law, my nephew and his girlfriend. Although I was present in body and the evening might have been a welcome departure from being obsessed with book revisions my mind was not all there. My overriding concern was getting the book to a point that the publisher and editors could begin working on it so that it could be published in about eight or nine months. Let’s say it put a damper on any potential for fun that evening. My family is use to my idiosyncrasies. So no one thought I was being weird – any more so than what was usual. I’m not always the most talkative sort, anyway. And since I quit drinking I’ve not been the life of any party – if in fact I ever was except in my own inebriated brain. Somewhere along the way that evening, in the background I mentally assembled a fix for the three chapters in question. Upon returning home, I spend another hour or so laboring over the revision and hammered out what pretty-much became the final version of those chapters. That’s not to say i was finished with the book. Following the publishers substantive review I had eleven pages of notes to go through and a month or so to respond. I actually finished the substantive edits in about a week, which included adding three chapters and rereading the entire book for continuity because of the additions. I’m telling you all of this because, other than hearing generalized praise from fiends and family and reading posted reviews for my work, last night was the first time since the book was published that anyone gave me direct feedback on the work. That it happened in real time over the Internet from six time ones away was pretty amazing. Some nuggets of wisdom, inspiration or whatever were brought to my attention. There are a lot of those in the book. Usually they come from Strawb (Mrs. Fields) or Lucy and not the main character, Brent. In fact I might pitch the book as an inspirational piece because of all those elements. Consider them a bonus. As it says on the back cover of the book (provided you have the paperback version) the characters’ perspectives on their world will change the way you think about yours – forever. Fried Windows is an urban fantasy with elements of science fiction blend with neorealism. That might seem ambitious but it never started off to be anything more than a cute story about a middle-aged man in a mid-age crisis. Brent Woods is a computer technician working for a technology retailer. While helping out on the sales floor on a busy Sunday he helps an elderly lady named Mrs. Fields who insists he deliver and set up her new computer system. Days later, while trying to decipher her convoluted directions the adventure begins. In the course Mrs. Fields offers Brent a chance to reconnect with his childhood fantasy world and his best ‘imaginary’ friend. The question from the outset is which the one of these characters is really crazy? By the end of the story answering that no longer matters. The book contains some personal philosophies, I suppose. The resilience of character and believing in one’s dreams enough to continue to pursue them against all odds are also themes. Brent is a good father and loving husband who experiences something extraordinary that changes him forever but is also reconnects him with a past that he either wanted to forgot or was forced to do so. Mainly the book is intended to be as much fun as thought provoking. When I wrote it I was not in a good situation. So some of that inspired me and writing provided an escape. For the first time in a very long time I was seriously contemplating being a full-time writer. The only problem was being able to afford the adventure. I had no savings, was out of work and really was burned out on working in my career field. One day I wrote a poem (yeah, I’m not much of a poet but I have been known to knock out a few). It was about being a kid and going to a carnival. I posted it on a website where other writers could read and comment on it. The feedback on it was positive. That became the catalyst to writing a story that now comprises the first two chapters of Fried Windows. After posting it on the same site and receiving feedback, what I originally intended to be a short story evolved into a series of short stories with the same same characters and overall theme. After writing and posting fifteen installments over the course of a month I had the nucleus of the book. In fact several of the other writers who were commenting on my postings suggested such. Afterwards, my life got worse for a while, about a far from where I hoped to be as imaginable. Yet I continued to write. Fried Windows was on the back burner, though, as I continued working on other projects. It wasn’t until a month before I actually submitted Fried Windows to my present publisher that I assembled the separated short stories into a novel format adding a few chapters and an ending. The main difference between Fried Windows and other manuscripts I’ve written is that from the outset I never intended for it to be a novel. In itself that is not all that odd, though. Every writer I know experiences a story that refuses to go away. He or she may start out to write one thing but winds up writing something entirely different. That’s the magic of creativity. Sometimes the best things kind of write themselves. Every writers experience is different in the same ways – if that makes sense. Fried Windows is one of the few books a publisher accepted – and likely one of the few books I’ve submitted to a publisher that anyone bothered to read. Having said that I submitted the first two chapters of the book as a short story to a magazine. 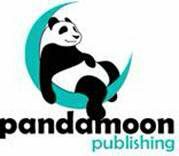 Shortly before submitting it to Pandamoon Publishing the magazine rejected it. So, in a lot of ways, it is a story that wouldn’t quit and I never gave up on it. If there is a secret to success in writing it is to keep writing until you know something is as finished as it will ever be.